It’s like being down at the park, and finding yourself having a bit of kick to kick with Luke Hodge. You’re not sure how, but here you are with the finest modern exponent of the drop punt. The elegance, the unforced style. The footy thuds into your chest, and you gasp. But, as great as it is, you don’t feel worthy. How did this happen? You’re enjoying the moment, while being aware of your inadequacy. A Thursday evening, on the edge of the desert. Old Kapunda mate Chris, Eddie and I around my kitchen table. 1983 Penfolds Grange Hermitage. And not one bottle, but two. The kitchen table cost me a Southwark six pack. 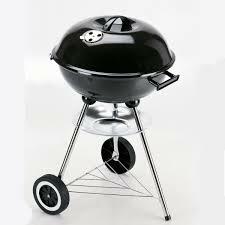 I bought it from Bo, fanatical barbecuer, and my cricket captain. Completing the transaction, we then drank the beer. At the table. In the untidy blur of a Wudinna footy club progressive dinner, we were outside, beneath the cold stars, working the tongs. It was 3am. As a kid I played footy and cricket in the Barossa Valley’s main towns. Nuriootpa. Tanunda. Angaston. This was its only purpose. Moving away was the key to appreciating it. To enjoy that it was probably the country’s premium wine-making region. Folks’d ask, “Where you from?” I’d tell them, Kapunda. Next door to the Barossa. Dad works at Penfolds. And so living six hours away on the state’s West Coast, I began to value the place. It became more than just the soggy oval where as a senior colts footballer you’d hoped to roll the Tanunda Magpies. Or where Bob Blewett, father of Greg, would patiently humiliate you and your team mates on Angaston oval, crafting yet another century. Ucontitchie Road. I loved living beside this sandy track as it seemed elemental, and more authentically Australian than distant Kapunda. About two kilometres from town, the massive stone farmhouse sat on a rise, and offered a view from the wide verandah. With clothes, books and golf clubs in the boot of my VK Commodore I moved there. A day’s drive. Billy Joel in the cassette player. My interior design theme was Young Bloke Spartan. Bo’s table was the stylistic centrepiece. During my first Wudinna winter I kept waiting for it to rain. Back home in Kapunda there was a constant twenty inches annually. Here a drought punished the land surrounding my house. A grain farming community, that year saw only seven inches, with two of those just before Christmas. In the bush quiet I’d think about how big our country was, how far away I was. Our geography confronted me, and I knew if I walked north, I might see no-one before I flopped into the Timor Sea, three thousand kilometres distant. It was very Australian, it was very foreign. Like viticultural blood brothers we vowed to prepare well. No beers from Sunday to Thursday, even if someone, like Bo, suggested a quick snort in the club after Tuesday’s cricket training. We wanted to be drink-fit. During the week I glanced at our Grange bottles on the rack. They were the most valuable things in my home. 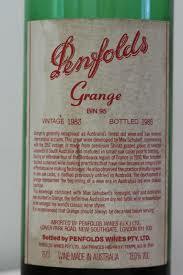 What to eat with Grange? The BBQ kettle craze was at its zenith. A hunk of beef. Roasted vegetables. A jug of thick gravy. A heat haze shimmered across the stubble, while on my verandah, the Weber spat and popped. Dad was allocated two bottles of Grange. We claimed both, and the dark receptacles cost us forty bucks each. As the afternoon sunlight bent through my kitchen, we pulled the corks. “Good choice fella,” remarked Eddie as I slid in Rattle and Hum, U2’s exploration of America, pre Bono-with-welded-on-sunglasses-wanker-era. We also listened to the first CD I bought, the Beatles’ White Album. As Paul sang “Blackbird” we attacked the Grange, in our clumsy and brusque ways. Gee, youth is magnificent. Later, with beers as crisp as the descending night air, the Seekers rang out over the paddocks. They were ancient even then, but we felt a happy, ironic duty. We drank the Grange Hermitage in the year of the titanic grand final. The best one ever. If you believe, the one personally attended by about half a million fans. Dermie’s ribs, Gazza’s goals. So what did we think of the wine? It was excellent, but I didn’t have the necessary vernacular. I still don’t. I was inescapably inarticulate, and without language, there’s only partial meaning in anything, especially shiraz. It was confronting, but I’m glad we had it. Ultimately, its depths were as incomprehensible to me as watching Michael Holding bowling at Adelaide Oval. Playing for Tasmania in the season our Grange was made, he glided deathlessly to the wicket, released, and instantaneously the ball was 130 feet away. Up in the Edwin Smith Stand I could only see it after it arrived in the keepers’ gloves. Delivery after delivery. It was metaphysical, beyond the boundary. I could only stare. On this planet much remains mysterious. It’s a coarse deliberation, but I’ll ask anyhow. Would I now rather a solitary Grange Hermitage or, for the same outlay, a dozen bottles of d’Arenberg’s The Dead Arm Shiraz? Do you climb Everest once, or regularly ascend the Matterhorn’s pyramidal peak, and risk it becoming routine? What would you do? You nod at Hodgy, and run into space. Spinning perfectly, it rushes at you. All you have to do is catch it.